Members of Zoffany’s first crop were all the rage at the DBS Premier Sale in Doncaster headed by a £150,000 half-sister to recent Prix Morny winner The Wow Signal (2c Starspangledbanner-Muravka, by High Chaparral). Paul Coombe, acting for Andrew Black’s Chasemore Farm, secured the choicely-bred filly who looks one day set to be a valuable breeding prospect for the Surrey stud. “She’s a lovely specimen and she’s got a good pedigree. We’re hoping The Wow Signal continues to go on and, after his win on Sunday, he’s already got a stallion’s pedigree,” Coombe told EBN. Agent Amanda Skiffington snapped up a Zoffany colt out of Chameleon (by Green Desert) offered from Pier House Stud for £120,000. 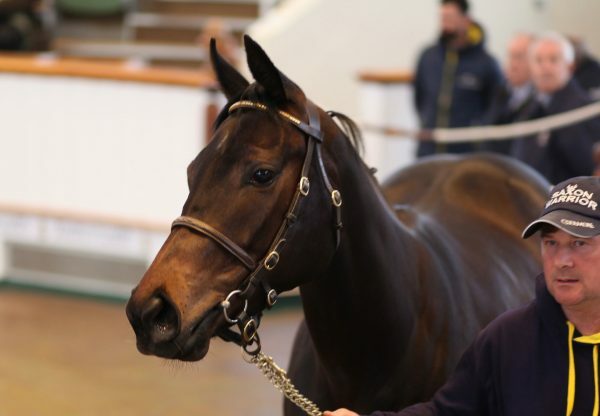 Peter and Ross Doyle were also fans of Zoffany, buying yearlings for £100,000 and £95,000, Tom Goff purchased another for £95,000 while his first-crop at Arqana included prices of €120,000 (Richard Fahey) and €100,000 (David Redvers).